Born in Tel-Aviv, Israel, Avi always had a passion for cars. 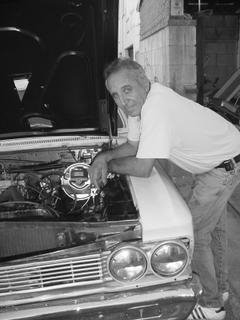 He earned his mechanic license in Israel and opened his own car shop soon after. In 1985, Avi immigrated to Los Angeles where he continued to work as a mechanic. After starting his own construction company, he turned back to his love and fascination for automobiles. Over the past few years, Avi began purchasing and restoring antique cars. He now has a collection of over 20 classic cars. Avi currently lives in Los Angeles, California with his wife and four children.